E. Coli isn’t just in tainted food; it’s also in sewers, and if you work in and around sewers, you’re at risk for E. Coli and other infectious diseases. Taking the right precautions is an important part of keeping you, your team and your family healthy. Envirosight is offering a new poster that illustrates how to safeguard yourself with personal protective equipment (PPE), proper clean-up practices and recommended vaccinations. 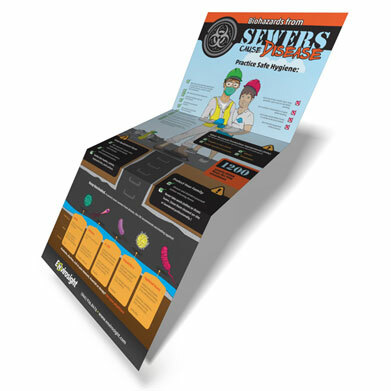 This poster is perfect for your crew room, office or sewer truck. Provide us your address and we'll mail you a copy of the poster.